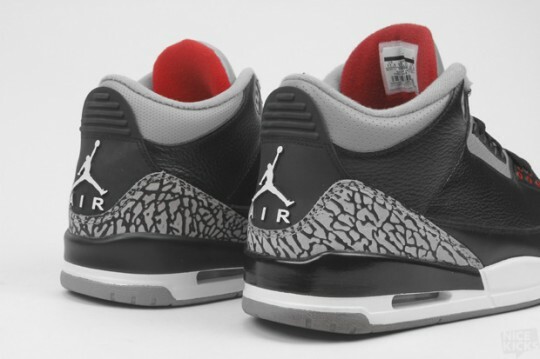 We are 22 November 2018 and today is the big day out of the Jordan 3Black Cement, one of the most sneakers known and recognized. 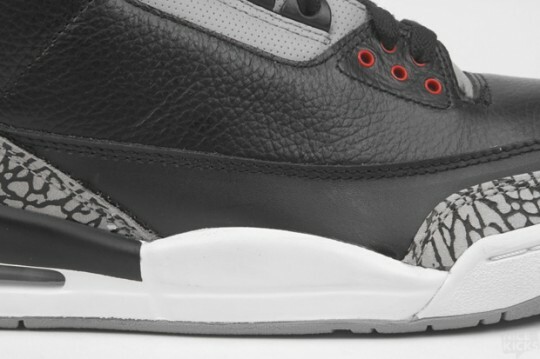 We were also often asked if this 2018 version was competitive with the retro of 2008, after the pack CDP 3/20 (the latter being more easily found and ‘affordable’). 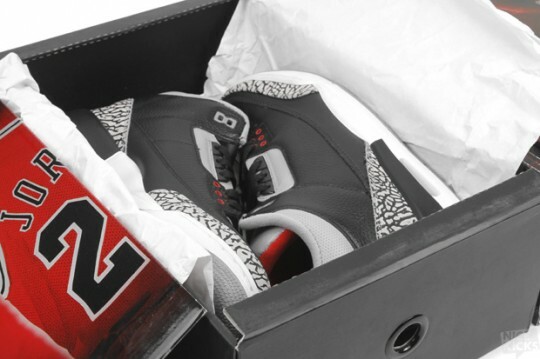 So we are often told that over the years the retro lose enormously in quality, NiceKicks helps us to take stock of this release and therefore whether it is better to let go a few dollars more on the 2008 or 2018 proccurer this version. 2018 jordans present you, in French, this roundup. So sit back, relax and enjoy! As you can see the holes on the 2018 model (right) are slightly larger and more spaced. 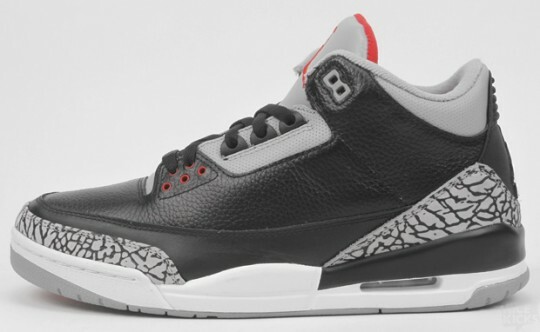 Like many recent retros, we note that the colors are not met (we think of the gray cement IV white / cement). 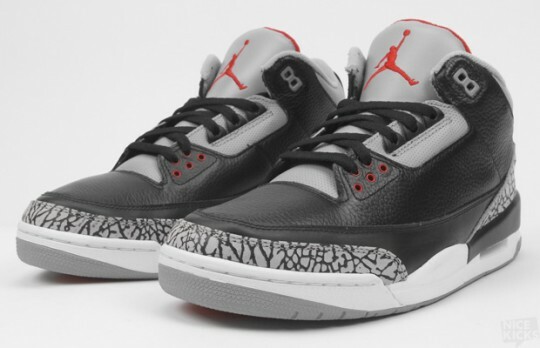 The air jordan 3 Black / Cement is no exception, we note a varsity red darker than the 2008 that it was very close to OG version. 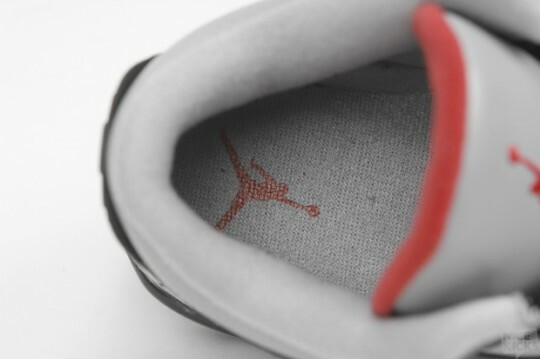 This notable are on the inner cover of the sneaker, of the tongue and Jumpman. This is unfortunate, but the difference is not so obvious is true condition (in real life, on your feet). 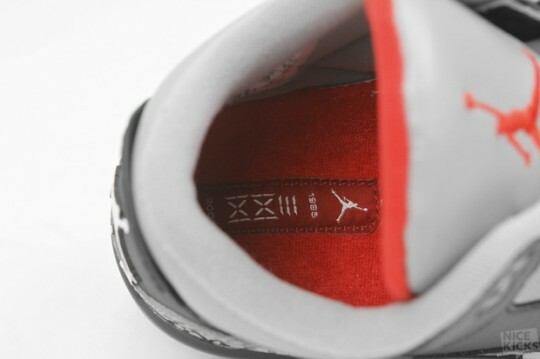 Regarding the placement of the label, the 2018 (left) is more consistent with the range by putting Jordan on the inside of the tongue, unlike the 2008 version that hides in the inner side of the sneaker. 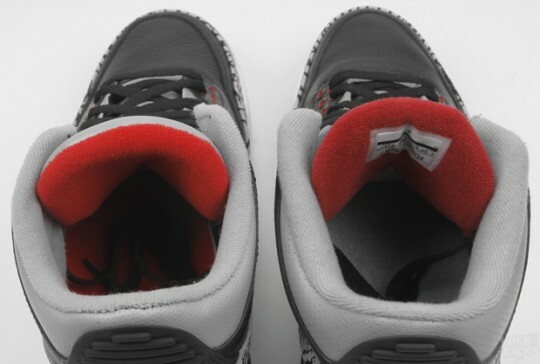 READ Whats look of ‘Mocha' Air Jordan 3 Retro ? 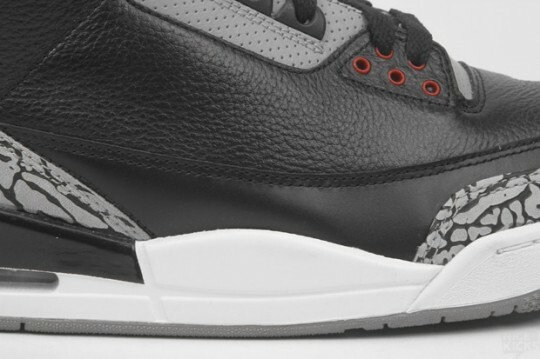 To counterbalance the darker red varstity of 2018, Jordan Brand to put an Elephant print in black slightly less intense. But this was done out of concern for color balance and does not jump in the eyes. 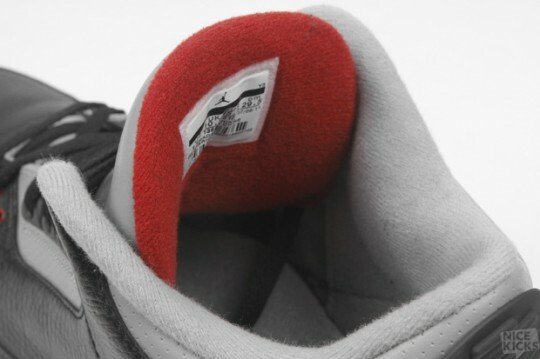 The 2008 version was released for the 23 th anniversary of Jordan sneakers, so she has a special insole far enough from the OG. The 2018 version is much more simple and standard. 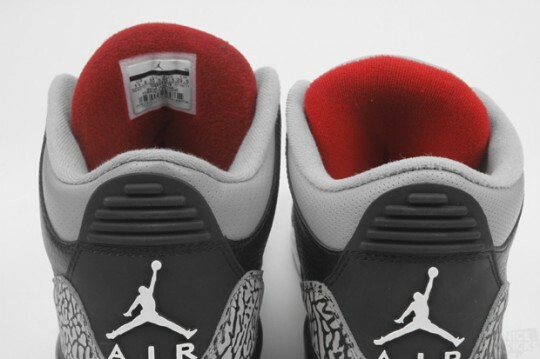 The 2018 version (like the white cement and true blue) sees her figure slightly redesigned with a slightly larger overall appearance and a tongue that dates back earlier than 2008, it is also slightly wider. And on the tongue, it’s not a bad thing, given that Jordan is doing with the tab visible. Here you will find that the tongue is much more padded on the 2008 version (2nd image) than the 2018 version. Jordan Brand explained to us at the exit of the white Cement 2018 that this change gave more freedom to move the anchor to those who would wear during a game of basketball. On the one hand the fender of the 2018 (2nd photo) is slightly less polish but also parallel to the footing that the 2008 version. 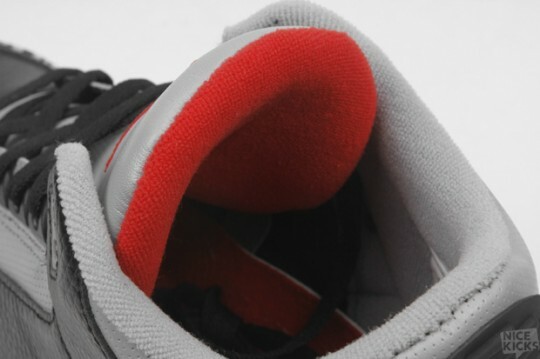 The finishing of the mid sole in 2008 (left) gives a more matte than the 2018. The 2018 is closer to the OG of this view. 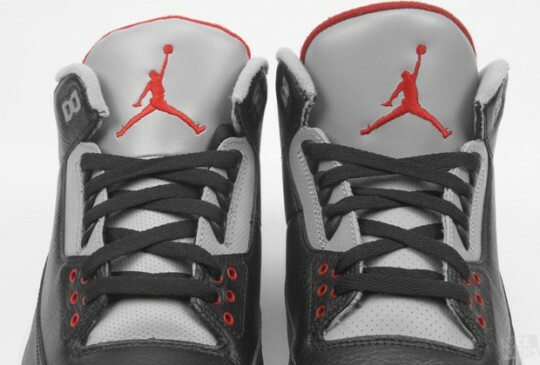 Jordan Brand continues to refined comfort of his 2011 strengthening of the sneaker padding around the ankle. This is part of why the 2018 version has a more massive than its big sister in 2008. Buy a 2008 version is to have half a box of dmp pack 3/20. 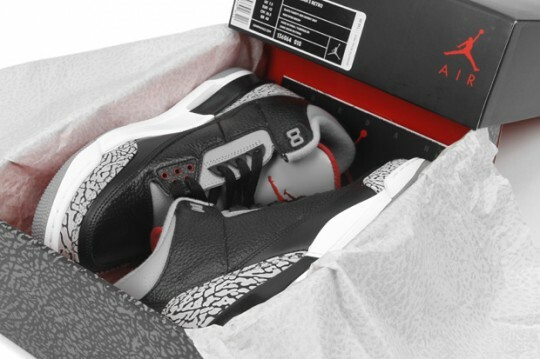 Buy a 2011 is to have a box near OG version with tissue paper Elephant Print. This 2018 version has against it a slightly darker red varsity, a slightly more massive. For the rest there is no real difference strong enough to justify the extra Euros required for CDP 2008 version. 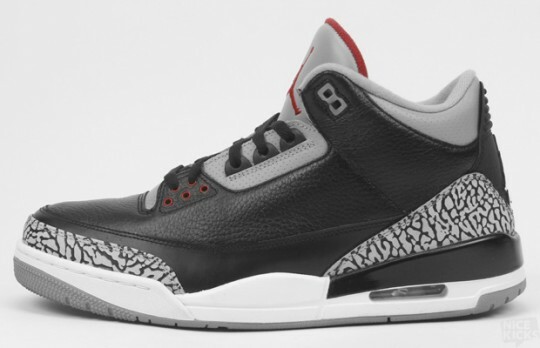 Jordan Brand has done a great job on this 2018, then go ahead darken, it is on sale now in all good dairies advised to take € 155. Another big thank you for this great comparative 2018jordans.com and these wonderful pictures.